Russia is expected to export more fighter aircraft Sukhoi Su-30Mk2 to Vietnam. 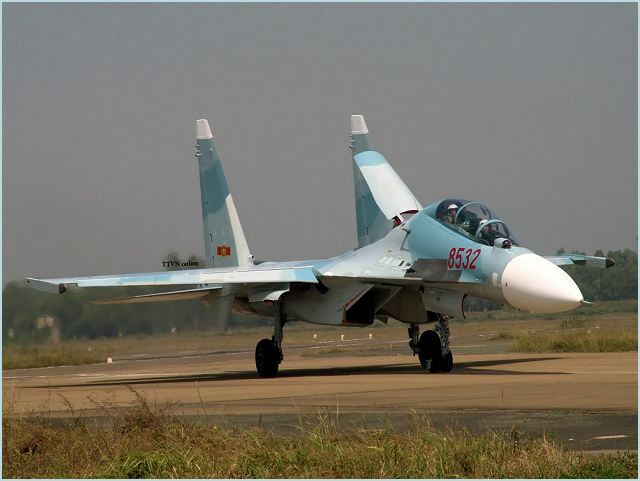 Up to now, Vietnam People's Air Force owns 20 multipurpose fighterSu-30MK2V, is expected will receive the same four notes in 2012 under contract to buy 12 Su-30MK2 is signed in end 2010. After a contract to supply 12 multi-purpose fighter Su-30MK2 sign from 2010, Russia hopes to sell another 24 units similar to Vietnam. Russia will reduce the export market share fighters to concentrate on carrying out the contract to supply fighter jets and bombers different tactics for the Air Force, Deputy Director of Technology Analysis Center Strategy and Konstantin Makiyenko said. So there is a change of development model of export within the Russian aviation industry, Makiyenko he told Interfax . China does not to purchase the new fighters from Russia since 2003, apart from the last shipment of the Su-30MK2 handed over to the Chinese Navy in 2004 to staff a fighter regiment. Meanwhile, Su-35 deal is estimated to cost up to $ 4 billion is congested. India, one of the traditional customers buying large weapons market share is also declining to buy Russian weapons because they are conducting multi-purpose production fighter Su-30MKI aircraft inland under license from Russia. Furthermore, this is the contractor selected to provide 126 fighters from France versatile medium. However, lower demand from India has been partially offset by the provision of fighter aircraft Su-30 for Algeria, Venezuela, Vietnam and Indonesia. Even so, he Makiyenko, the total volume of orders during the last half decade lower than half the total number of aircraft to be exported in the period 2011-2010. According to Makiyenko, present Russia can expect to sign a new contract to supply 42 fighter Su-30MKI aircraft Superkhoi to India and Vietnam are more likely to buy up to 24 Su-30MK2. The ability to buy new fighter Su-35 came from the CIS countries (mainly Kazakhstan) and China. "If China copies Su-27 and Su-30, they will continue to face the technical difficulties," he confidently Makiyenko said. In any case, he said, "seems all aircraft export contract, the number is not comparable with the procurement plan of the Russian Air Force. These plans are part of arms procurement program state, the number of tactical aircraft by 2020 will be 600 units. "